SEO is important for any business that wants to attract traffic to their website. SEO for nonprofits is especially important because they can’t afford to spend tons of money on paid advertising and traditional marketing. SEO for nonprofits is an easy and effective way to get website traffic, without spending a fortune on paid marketing. Don’t get me wrong! SEO is not easy. It requires a lot of time and effort. But it is comparatively much cheaper than other forms of marketing. By getting your website to rank higher in search results you can make it easy for potential donors and volunteers to find you and extend help. Writing relevant content on your website can help people looking to invest in a specific cause to find you. For these reasons, SEO for nonprofits is more important than it is for any other type of business. The best SEO technique is writing content that resonates with your intended audience. The number one priority for search engines is to show relevant search results to their users and good quality content is paramount in that. SEO for nonprofits is no exception to this. Give people a reason to connect with your organization, tell them your story, your mission and vision, and what you stand for. 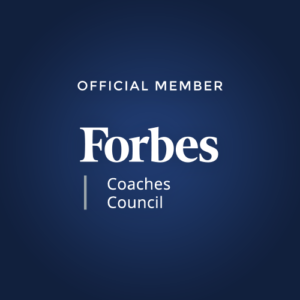 By telling people about these things you will help them connect with your organization better and attract more help. What better way to attract more investors and volunteers than by sharing what you have done and how it has helped people? Tell people about your achievements so that people feel compelled to invest in your cause and help you achieve a lot more. While it is important to connect with your audience and write content that resonates with them, it is equally important to use the right keywords. You can use keyword finder tools like Google Trends to identify the most-searched keywords for your niche. SEO for nonprofits is not so much different from SEO for any other business. For example, on-page SEO techniques like optimizing meta descriptions and title tags is equally important for all. Ensure that you use your primary keywords in meta descriptions, page titles, and subtitles. When a search engine crawler searches your website, these meta and title tags are what it uses to index your website and content correctly. Using the right keywords in these title tags will ensure that your website is indexed properly and is shown to a relevant audience. So, think about the kind of search queries for which you’d like to be featured and select your keywords accordingly. Local SEO is very important for nonprofits as it is important in driving potential volunteers to your local centers and offices. Suppose someone wants to do some volunteer work in their free time but does not want to go too far for it. They search online for NGOs near them and find a list of potential options where they can volunteer. They pick one that they can most relate with and go and volunteer there. That is the process that a lot of people follow when looking for local places to volunteer. And if your organization does not rank in those local search query results, you stand to lose a lot of such volunteers. Creating a Google listing is important if you want to rank well in organic search results for local searches. Registering your business on Google Maps and adding relevant contact details will make it easier for people to find your local offices and centers. Whenever a user searches for something location specific, a lot of results that come up are of local directories and business listings. Listing your organization in such directories is an effective way to ensure that people can find you. In fact, 90% of SEO experts believe that accurate citations in such directories immensely help improve local search rankings. You can also use local search rank checking tools like BrightLocal to keep track of your local search rankings. This will help you gauge where you rank and how your local SEO for nonprofits strategy has helped you improve your rankings. I know that for nonprofits, getting quality backlinks is not as simple as paying influencers to get reviews. However, there are still a lot of ways in which nonprofits can get quality backlinks for SEO. 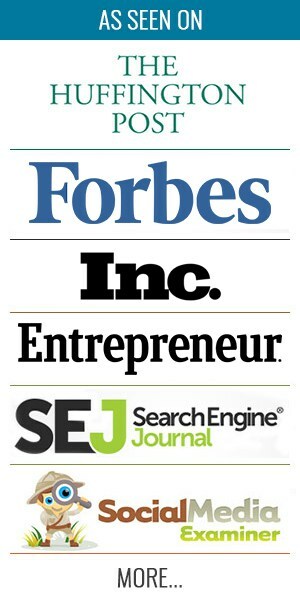 A great way of getting quality backlinks is to ask news websites to add your website link whenever you get featured in a story. As a nonprofit organization, you might get featured in local news stories around your social initiatives. So, why not leverage that to get backlinks from credible news websites? You can also ask for backlinks from your corporate and other partners. If you recently launched an initiative in collaboration with any sponsors or corporate partners, there is a good chance that they will showcase their corporate social responsibility (CSR) activities somewhere. So, ask them to add your website’s link when they do so, as it can be highly beneficial for you. Getting backlinks from sources with good domain authority is a critical SEO aspect that can help you rank well in organic search results. And, hence, it should be a key part of SEO for nonprofits. Any SEO strategy for nonprofits is incomplete without incorporating social media as a key element. You can use social media platforms in a myriad of ways that can direct traffic to your website. For example, you can post about upcoming events and initiatives and ask people to volunteer or donate. Or you can share posts about your past initiatives and encourage people to donate money and resources so that you can keep up the great work. You can also run inspiring social media campaigns to spread awareness about the cause that you support. 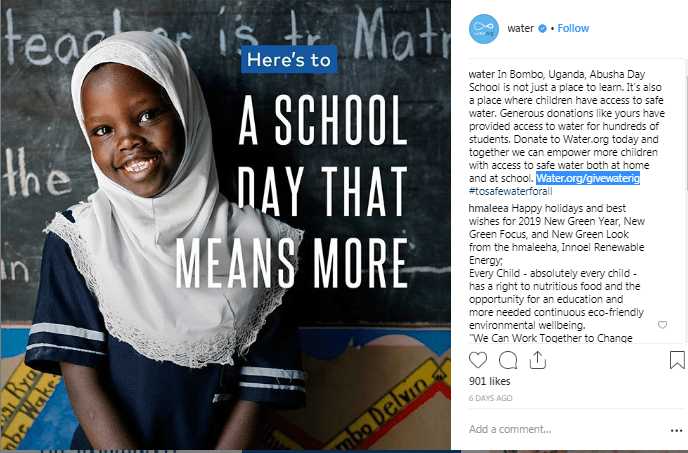 Check out this Instagram post by the international nonprofit organization charity: water, for example. They have showcased the good that donations can do for people around the world and then asked people to donate via their website. No matter what type of content you post, be sure to add a link to your website, to drive traffic there and get donations or volunteer registrations. 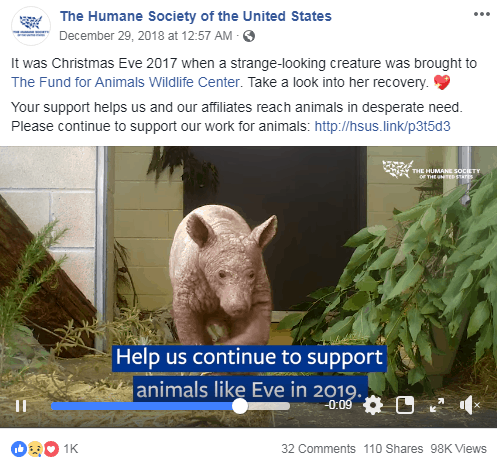 Check out the Facebook page of The Humane Society and see how they use touching animal rescue stories to ask people to donate to their cause. They always add a direct link to their website where people can donate online. While designing your SEO for nonprofits strategy, don’t forget to include social media. Social media can immensely help in SEO for nonprofits and is also a good place to spread awareness about your cause. SEO for nonprofits requires time and effort but is still worth it because of the benefits that it delivers. Use these five effective SEO strategies for nonprofits and get more website traffic and better organic search rankings. Do you have any more tips and tricks for SEO for nonprofits? Let us know in the comments below.